Traveling Teacher Program: Become a better player! 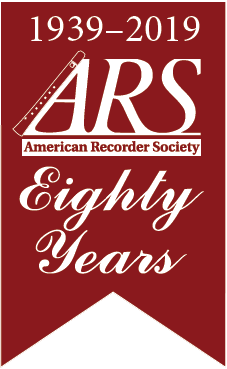 Do you want to grow your musical skills, deepen your knowledge of the recorder, and enrich your recorder community? Have you always wanted to take recorder lessons but live far from flesh-and-blood recorder teachers? The Traveling Teacher Program helps recorder communities without a local recorder teacher to access top-notch instruction on an ongoing basis. Click here for a list of teachers participating in the Traveling Teacher Program. The Traveling Teacher Program subsidizes the travel of professional teachers to participating communities. Up to $400 in travel reimbursement is available per teacher visit to applicants who guarantee teachers at least 10 hours of teaching per visit, at $50 per hour, a rate below the national average. These 10 hours of teaching could be distributed between private lessons, coaching, master classes, group playing sessions, etc. Local applicant groups must also provide housing, food, and local transportation for the teacher, and must include three or more American Recorder Society members. The ARS will subsidize one year commitments consisting of three to four visits to take place over the course of one fiscal year by the same teacher to the same community. Visits must take place between September 1 through August 31. The application deadline is March 1, to be used after September 1. Click here for a .pdf application form. Click here for an online application form. Click here for a list of participating teachers. Teachers are not vetted by the ARS; applicants should vet and contact teachers directly to arrange a schedule of visits before applying for ARS funds. The Traveling Teacher Program helps recorder communities without a local recorder teacher to access quality instruction on an ongoing basis. The purpose of the program is to allow players in such communities to establish a relationship with a professional teacher, grow their musical skills, and ultimately enrich their recorder communities. Organize a group of players willing to make a one-year time and financial commitment to the Traveling Teacher program. Designate an individual or individuals to take charge of the financial and logistical implementation of the program. Choose and approach a Traveling Teacher from the list of teachers who have volunteered for the program. Our list includes the teachers' nearest airports to facilitate an assessment of travel costs. Contact your chosen instructor and arrange a mutually agreeable schedule of 3 - 4 visits to take place during the fiscal year (September - August). Guarantee a minimum of 10 hours of teaching at $50/hour for each 2-day visit, for a minimum of $500 per visit. These hours could be distributed between private lessons, group lessons, master classes, group playing sessions, etc. Arrange to provide local transportation, housing, and food for the Traveling Teacher during each visit. A grant of up to $1600 for the year (up to $400/visit) to cover the Traveling Teacher's long-distance travel. This grant will be disbursed to the teacher based on travel cost receipts or mileage. Continuity of care: three to four lessons from the same teacher, with the potential to arrange for email support in between. Type of coaching and distribution of payment at your discretion, so long as the 10-hour, $500 minimum is reached. Access to professional teachers dedicated to improving your skills! An hourly rate below the national average. Click here for a .pdf application form. Click here for an online application form. The application deadline is March 1, to be used after September 1. The Traveling Teacher committee receives applications by a specific date each year (July 1 for the following fiscal year). Funds are allocated to applicants in the order rated, up to the maximum funding available.